Food blogger Joanne Ridley takes us on a tour of one of her favourite parts of Sheffield for food and drink. 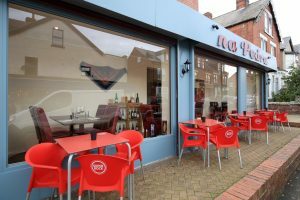 Most people are familiar with the foodie draw of London Road’s eclectic restaurants. It’s the place to go for a wide selection of different foods at a reasonable price. But how many people keep heading out of town, to Abbeydale Road? 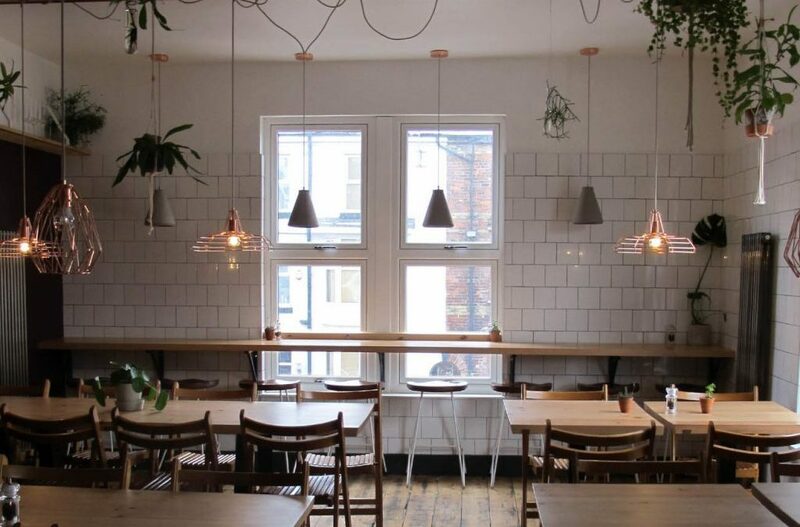 To not venture further afield however is to miss out on the emergence here, not just of the Sheffield Antiques Quarter, but a whole host of cafes and restaurants that are fast making it not just a shopping destination but also a great place to dine out. When we first moved to the area back in 2010, there was Bragazzi’s and the Rude Shipyard. Both great cafes but that was pretty much it. What stood out the most back then was just the sheer number of empty shops and restaurants. It seemed like such a wasted opportunity. I remember thinking what a crying shame it was that so much of the area was just standing empty when it had so much potential. Abbeydale Picture House stood there looking magnificent but its doors were closed and the place had been empty for years. Fast forward 8 years and the place is transformed. It started with the arrival of an artisan bakery right on our doorstep in the shape of Forge Bakehouse. Popular from the get-go because everything it sells is so delicious. And then slowly but surely as the area got an official branding as the Sheffield Antiques Quarter, it started to take off. 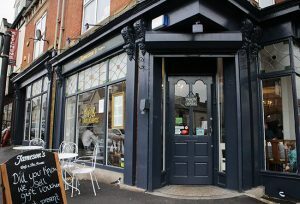 The relocation of Jameson’s Tearooms from Broadfield Road to its own place on Abbeydale Road was inspired, its presence perfectly in keeping with the area. What better than a wander round some vintage shops and then to stop for a timeless afternoon tea in this quintessentially English tearoom. Another great option is the Vintage Tearooms at the Old Coach House, a little further up the road, a little more tucked away but worth a visit too. The Broadfield Ale House rebranded itself into a community pub that has gained itself a reputation far and beyond the local community for its great food and ambience since being taken over by True North Brew Co. No-one does cosy Christmas pub like this one! And it’s a great community pub for all the family. We’ve been to great traditional summer events in the back garden with BBQs, a coconut shy and Punch and Judy, pumpkin carving and owl displays at Halloween and winter events with real live reindeer in the beer garden at Christmas. The great news that Abbeydale Picture House was to reopen its doors has brought a focal point to the area. It’s gone from strength to strength with the opening of Picture House Social in the basement. When I think back to the comedy club that used to take place down there, its potential was always clear. But now it’s a major drawing point for the area, taking the hipsters that want to avoid heading into town and providing them with a place to hang out. The pizza is amazing and there’s ping pong, cinema, live music. It’s got a whole collective vibe going on. Offering an upmarket dining option at a reasonable price is one of the more recent additions, Na Pedra. It’s a great Portuguese restaurant that offers you the option to cook your own steak on a stone. Just across the road you have more Mediterranean options in the form of Yamas. Sadly one place to have disappeared from the area is Bella Napoli but it’s been replaced by the lovely Volpe café and its volcanic breakfast. Another great option is the Big Sur breakfast at the lovely Four Corners Canteen. You can literally spend the day here now, eating your way from breakfast through to dinner whilst browsing the local shops. And hot off the press is the new Urban Ita, which has taken the place of our beloved Bardwells electrical shop. The area is even tying in with the emergence of what I see as a little vegan quarter with our very own Burger Lolz to complement the nearby Make No Bones and Just Falafs. And now things have come full circle again. Back to the arrival of Forge Bakehouse, which to me signalled the kick start the area needed. 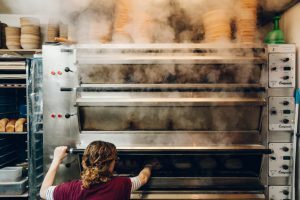 Since their arrival, the business has gone from strength to strength branching out to doing pop-up pizzas and opening up as a café. It’s now expanded up a floor and added Mesters Social as a string to its bow. It’s been lovely to see this business go from strength to strength and I only hope we continue to see this area of Sheffield continue to flourish be a part of Sheffield that people want to come and visit.